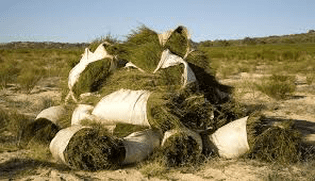 The owner-operators of this website acknowledge the Traditional Custodians past and present of the land on which we live and on which we operate this website, the Wurundjeri people of the Kulin Nations, and pay our respects to their Elders, past and present. We particularly acknowledge THEIr previous ownership of this land, and the reality it was stolen from THEM by white settlers, some of whom were our forebears. All money made by this site's limited advertising goes to educate African girls via the great charity Camfed. For info about Camfed click here for its website OR here for our page on it. Every penny, cent, dollar, pound, etc. is equalled by the UK government's UKaid program. The ads help you buy books from Wordery, Book Depository, & Fishpond (for Ozzies & EnZedders). Rooibos is available through Oxfam (Fair Trade AND Organic) and Fishpond (free postage for Ozzies & Enzedders, and some Fair Trade and Organic - please try to get the Fair Trade or its equivalent stuff), or Rooibos chai through Aussie Health (I don't think they have Fair Trade, but check). Of course, you can buy anything else you want from these sites as well. Just click on an ad on this site, go to the advertiser's website, search for the relevant item, and pay up. An incredibly tiny amount then comes to us, and, if we ever make any money (that's up to you, folks), we'll wait until we have a reasonable amount and send it on to Camfed - at least $A10. And no, we don't earn interest on the money before we send it on. Or, if we do, it's bugger all on bugger all. So far, anyway! Oh, one last thing. To be able to take advantage of this great offer to actually make a change to not just one person's life, but ultimately to the whole of Africa and the world, you'll have to see our ads. That means you'll have to turn off your adblocker. Please. Just for this site. Just for a little while. Pretty please, with strawberries and cream on top. Although Lex would prefer raspberries. Or chocolate cake. And a not-too-bitter long espresso. If you could manage it. Lex isn't so keen on raspberry and chocolate mixed, though, unless it's white chocolate. Mind you, a Melbourne cafe (Julian's Kitchen - hi, Julian! - cnr Canterbury Road & Through Road, Surrey Hills) does fantastic raspberry & chocolate bread and butter mini puddings (and Julian's Portuguese tarts are to die for, and his raspberry and white chockie muffins - just as well Julian didn't set up closer to home, or Lex would probably really die for something there!). Then She Rolls & Rolls!! Or, in plain old English, "G'day, folks". As you might've guessed, we're Oz fans of Sandy McCall Smith's wonderful First Ladies' Detective Agency series of books set in Botswana. However, when we started reading the books, I'm afraid we found we had a serious problem. What was it? Weeeell, we'll let you know if you take a browse down this page. Rotten turds, aren't we! Within, GrumpyKoala has started doing reviews of things that may (or may not!) interest you. He wants to do a blog, as well, but time keeps getting in the way! For Mma Ramotswe fans, or fans just of Sandy McCall Smith, we've got heaps of stuff on Sandy, and brief descriptions of the books (not quite up-to-date - sorry, as I get older, the day gets shorter!). We've not reviewed them, as we're obviously biased! For those wanting to know more about Botswana, we've also got heaps of stuff on that remarkable little nation - good, and ... weeell ... not so good. Oh, and the TV series, sadly truncated. To find stuff, just wend your way over to the menu on your left. A bit further below there's a picture and some words giving a warning to trolls and unpleasantness merchants of any sort. Bronwyn Benn & Lex Borthwick (or vice versa). (1) Non-Ozzies: Try Amazon or Fishpond. (2) Well, rooibos, "bush", "mountain", or "red" tea is. I've no idea about organic or free trade! Sorry. Sort of! Oh, dear. Finally, we're there. We're afraid it's true. A serious problem. Well, we think so. 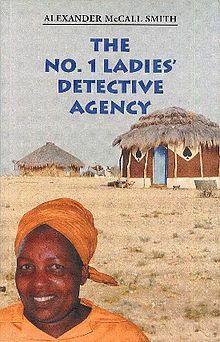 We grew to love Mma Ramotswe and her Botswana so much we just had to find out more. So off to Ms Google we went. And we found out much more. But we also found much less. Yes, of course we know that doesn't make much sense. Let us explain. We found lots of information, after lots of work, but we did not find much in the way of fan sites that explained and centralised the information. And what we did find was not up-to-date! This took us by surprise. So, to save all you readers some effort, we put this site together to answer some of the questions you may have. ​If you have any questions we do not appear to answer,give us a hoy through our Contact page. We genuinely welcome any questions, suggestions, or comments either positive or, shudder, negative. But, while we welcome constructive negative comments, we don't welcome trolls. Like Einstein, Terry Pratchett and Doctor Who, we believe there is an infinity of parallel worlds, with an infinity of possible natures. In fact, we've developed a machine to pop people through to a world of our choice. 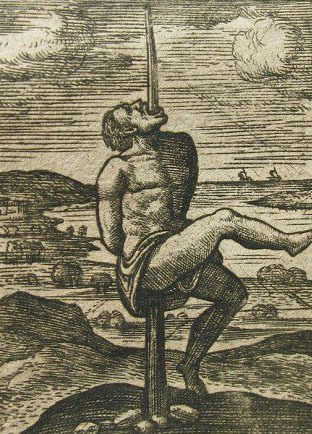 Trolls will get popped to the world populated only by clones of Vlad the Impaler. Better keep your haemorrhoid cream handy! LOTS of it! Setswana is the language of the majority Tswana people of Botswana, although most Tswana people actually live in South Africa and Bophutswana. As Mma Ramotswe is Tswana, Setswana is her first language. Here are a couple of terms people on the internet say they struggle with. Dumela: 'Accept my warmest greetings', or a very polite 'Hello'. Pronounced 'doomerlah', with a slight emphasis on the "doom". Mma: Formal, respectful greeting to a woman. Pronounced as in the English 'Ma' with a soft, gentle, slightly extended 'm' and shortish 'a'. Rra: Formal, respectful greeting to a man. Pronounced 'Ra', as in the ancient Egyptian god, with a slightly rolling 'r'. If there are any more you're concerned about, give us a hoy and we'll endeavour to help you without too much of an Aussie accent (or, buggrit, with a strong Aussie accent. Why the heck shouldn't you sound like us?). ​​﻿We've tried to give credit where we can, and we've tried to use images in particular in a way that doesn't impinge anyone's copyright. However, we're new to all this stuff, and it's possible (in fact, highly probable - sorry) we've accidentally done the wrong thing, and we won't deny we've been a little slack in recording the sources of some of our photographs (the writing is all original!) and therefore our acknowledgements. NOTE: These are organic chais, not straight rooibos - meaning they're mixed with various spices. That's OK, if that's what you like, of course. We also note they're not free trade, as far as we can tell. Oh, and despite our attempt to do all the right things (we think?!) the clickies down below are only right for the middle choice. You might just need to do a little extra on-site clicking to reach the others. Sorry! We're working on it. Well, when there's time!